Me and exercise are not friends. Me and excuses for not doing exercise are best mates. Pilates is an exception to this rocky friendship. I am not a gym bunny. I do not make use of the free gym located one floor below my apartment. Disgraceful I know, does that make me a bad person? Probably not but definitely a very lazy one! I don’t run (unless the shops are shutting), I don’t Zumba. I don’t go to Crossfit, TRX, Body Balance or Pump or whatever the latest craze is. Since living here I have tried an Extend Barre class (aka torture by ballet), went to a course of Yogalates (think an attempt to combine Yoga/Pilates) and played a bit of Badminton. I do like Yoga and the outdoor classes were good when it’s cooler and I do quite enjoy walking and cycling around the Yas Marina F1 track, but the thing I really like is Pilates. Exercise is big business here in Abu Dhabi. The city is full of gyms and every possible type of exercise class is on offer here. Bodytree is my facility of choice, the city’s only fully equipped Pilates studios located in a converted villa offering a range of Stott Pilates classes, Yoga and Dance. The studio attracts an abundance of Lulu Lemon clad lycra expats who enjoy the wide range of classes in a full weekly schedule. 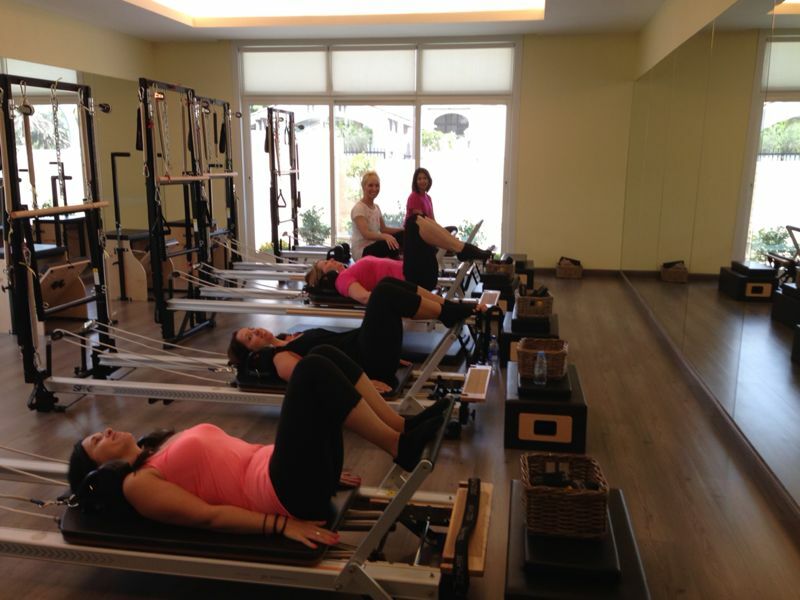 Along with my Reformer classes, I also enjoy the Pilates with Props and Mat classes. Last week as schools went back, it was the start of my new term at the Bodytree studio and the return to my Pilates Reformer classes. I have not stepped inside the studio for nine weeks so needed to get motivated and get to it! Unfortunately for me or fortunately you could say, I was the only class participant as others are still away on their travels, so I had a private class to kick-start my exercise regime again. Needless to say I ached for the next couple of days! Now the factual bit (the concise version). Joseph Pilates developed Pilates in the early 1900s with exercises and equipment to balance development of the body and mind through core strength, flexibility, and awareness. He called his system of mat exercises ‘Contrology’ and that later changed to Pilates. He believed life-style, bad posture and inefficient breathing all contributed to poor health so devised a series of exercises and techniques to strengthen the body. He added springs and weights to hospital beds to help injured patients strengthen their bodies which has evolved into the Reformer machines seen today. 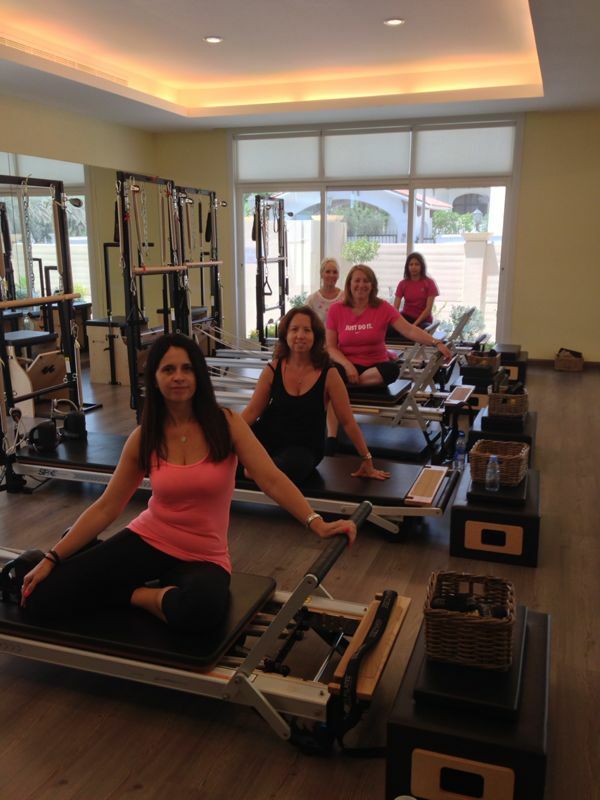 Stott Pilates as offered at Bodytree focuses on maintaining the natural curvature of the spine which differs to Joseph Pilates original method that uses a straight spine during exercise. 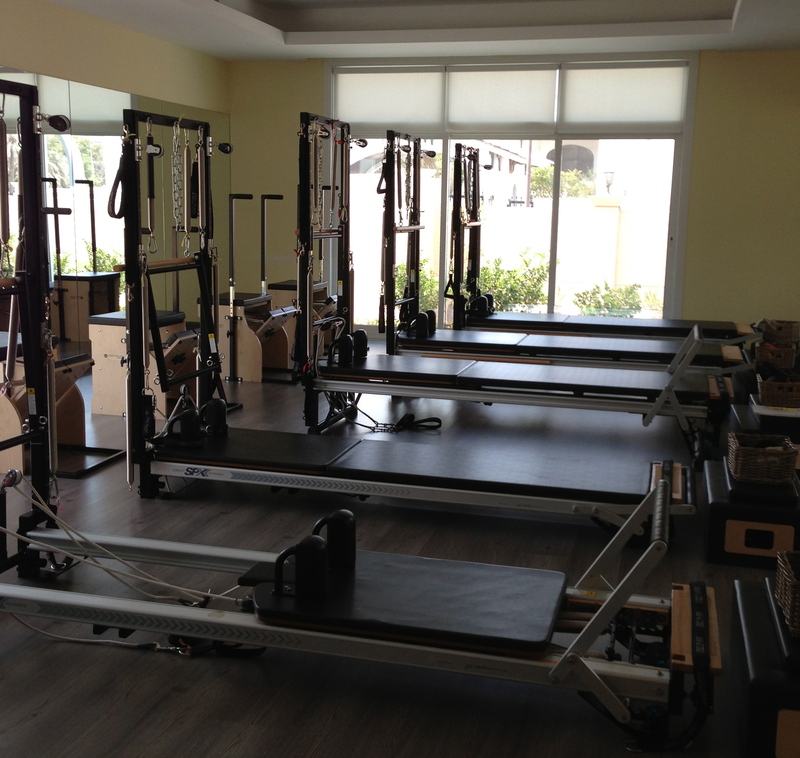 Pilates Reformer offers versatile exercises to promote length, strength, flexibility, and balance using the spring, ropes and weights system. If you are ever in Abu Dhabi and feel the need to find your inner core, fancy a wheatgrass shot or a fresh healthy smoothie pop along to Bodytree Studios. Unless otherwise stated, all photos on this page © Jo Brett 2013. All rights reserved. 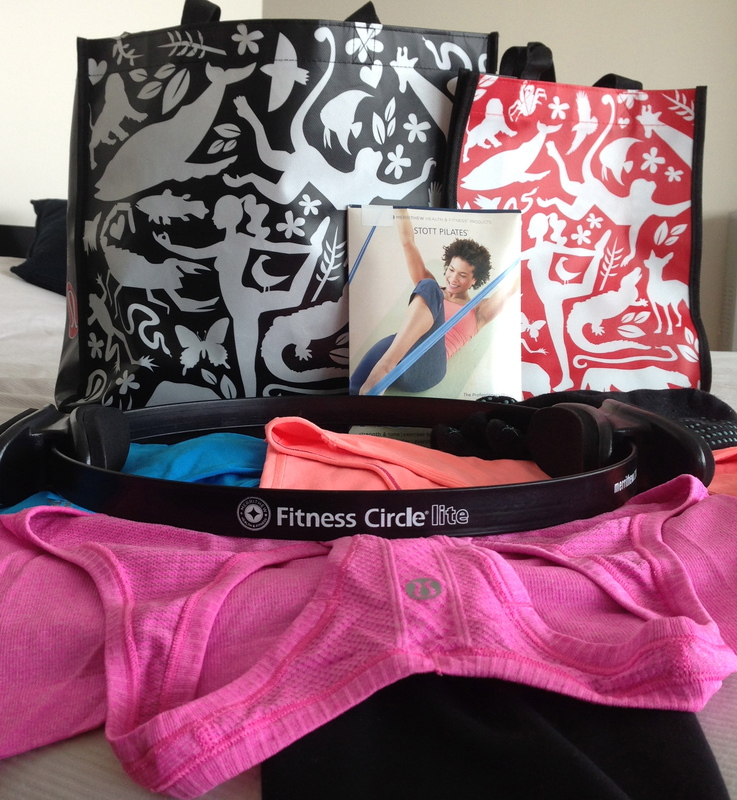 And your Pilates buddy of course!